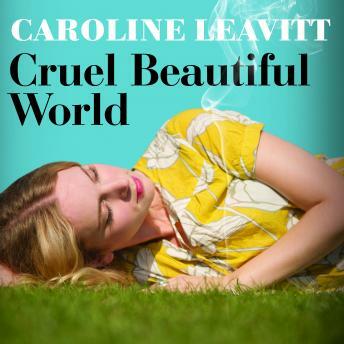 Caroline Leavitt is at her mesmerizing best in this haunting, nuanced portrait of love, sisters, and the impossible legacy of family. It's 1969, and sixteen-year-old Lucy is about to run away with a much older man to live off the grid in rural Pennsylvania, a rash act that will have vicious repercussions for both her and her older sister, Charlotte. As Lucy's default caretaker for most of their lives, Charlotte's youth has been marked by the burden of responsibility, but never more so than when Lucy's dream of a rural paradise turns into a nightmare.Cruel Beautiful World examines the intricate, infinitesimal distance between seduction and love, loyalty and duty, and explores what happens when you're responsible for things you cannot make right.